I arrived in Mâcon on August 25th, anticipating that the harvest would start on September 1st –already at least two to three weeks earlier than customary. The hot weather began in mid-June and was still in the mid-nineties when I arrived. There were no green meadows on the Beaujolais and Mâconnais hillsides, just burnt trees here and there. Only the vineyards painted striking green patches in the California-like landscape! As you know, vines have deep roots. The older the vine, the longer the roots, sometimes reaching up to 50 feet, allowing them to get nutrients and water. I started my tour of local Mâconnais wineries with Domaine de la Bongran. 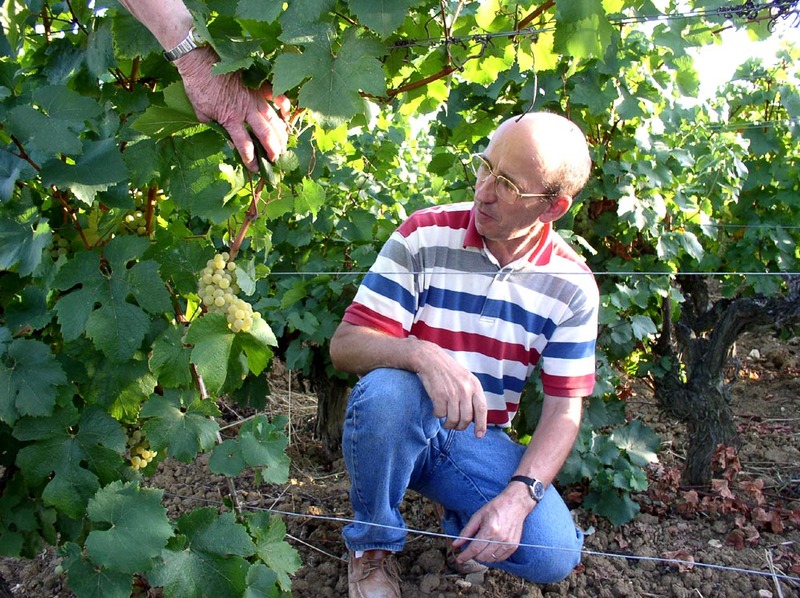 Jean Thévenet had only harvested his vineyards with northern and southern exposures, the ones that had suffered the most from sunburn and had produced dry raisins that were removed on the sorting table before the bunches were put into the crusher. We walked through his Bongran vineyard (East-West exposure) that was to be harvested later, in order to obtain more maturity and, hopefully with a little rain, some botrytis. Jean Thévenet reported natural sugar between 13º to 14º. No chaptalization was necessary. Dominique Cornin of Domaine de Lalande, located in the village of Chaintré, on the Beaujolais border, had a big smile on his face. His grapes were also full of sugar with not too many dry raisins. Together, we sampled the clean and rich juice coming out of the press—aromatic and full of glycerin. Because of Spring frost, his crop was 50% less than normal. Thierry and René Guérin, in Vergisson, also seemed pleased. Their Pouilly-Fuissés “La Roche” and “Clos de France” were fermenting in older oak casks. 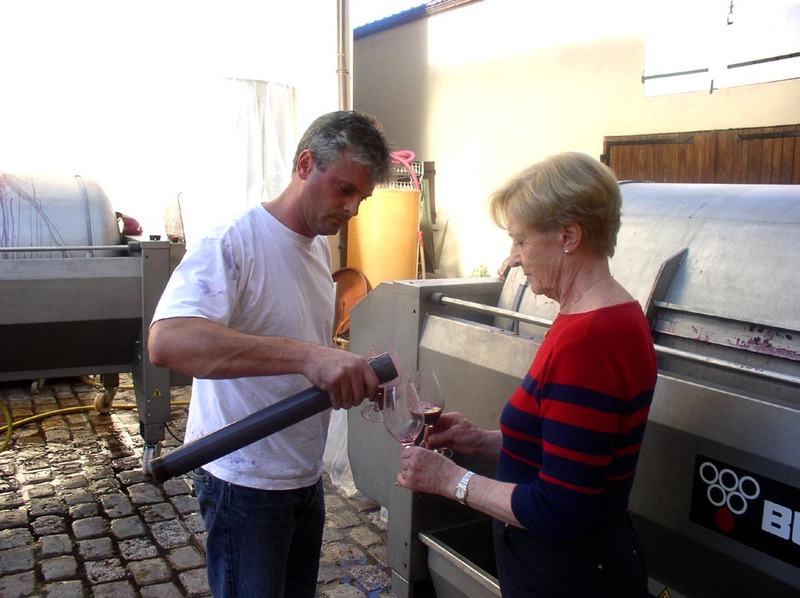 Beaujolais started harvesting on August 15th and Paul Janin and his son were already taking the fermented grapes out of the vat and transferring them into their crusher. In a normal vintage, the content of one vat fills one crusher; but this year, because of the small tight bunches, it had to be done in two batches. The juice coming out of the vat was deeply colored, rich and very aromatic. They had started their harvest on August 18th, from sunrise until 1 p.m., in order to avoid the afternoon heat. Because of Spring frost, their crop was also 50% less than normal. Patrick Brunet from Fleurie and Morgon was also crushing grapes. His was a small harvest as well. He showed me his oenologist’s report from the lab: 13º to 14º alcohol, 3.35% to 3.47% acidity, a pH of 0.358 and volatility of 0.01. 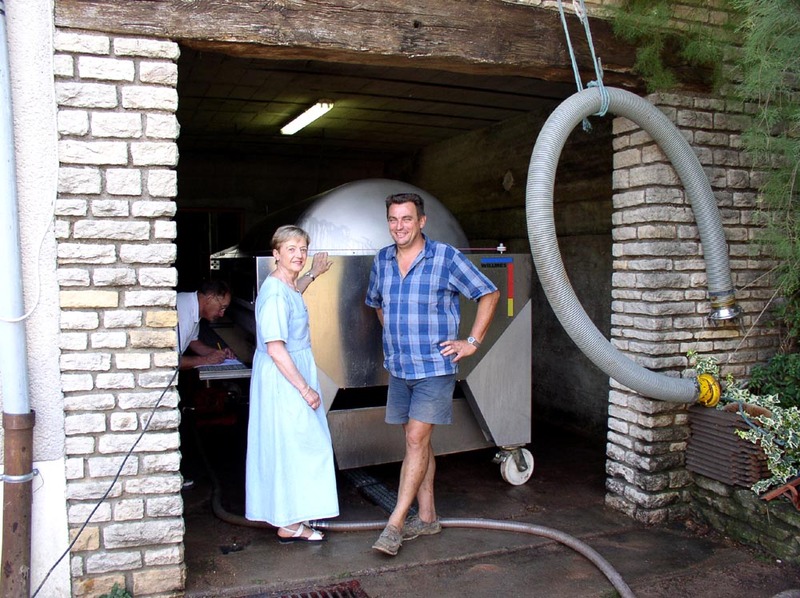 I tasted his freshly pressed Fleurie (an exciting, heavy duty but elegant Fleurie). Long-aging, no doubt. The next day, I visited Domaine d’Auvenay where Lalou Bize-Leroy had just finished her minuscule harvest. Between the Spring frost and the heat, she only made half a barrel of Chevalier-Montrachet and Criots-Bâtard-Montrachet! At Domaine Leroy, in Vosne-Romanée, harvest was completed by August 31st. Whereas Lalou managed to produce an extra barrel of Chambertin, the yield of all her other vineyards was down by 50%. I tasted her Romanée-St-Vivant (her pride and joy), unfermented, straight from the vat, and it was elegant, pure, concentrated, showing all the qualities of a great vintage. Domaine Monthélie-Douhairet had suffered from frost and hail and, even though the production of his Volnay “En Champans” was down by 50% and so were all of his other appellations, André Porcheret could not complain about the quality. His whites, rich and glycerinous, were already fermenting in casks. 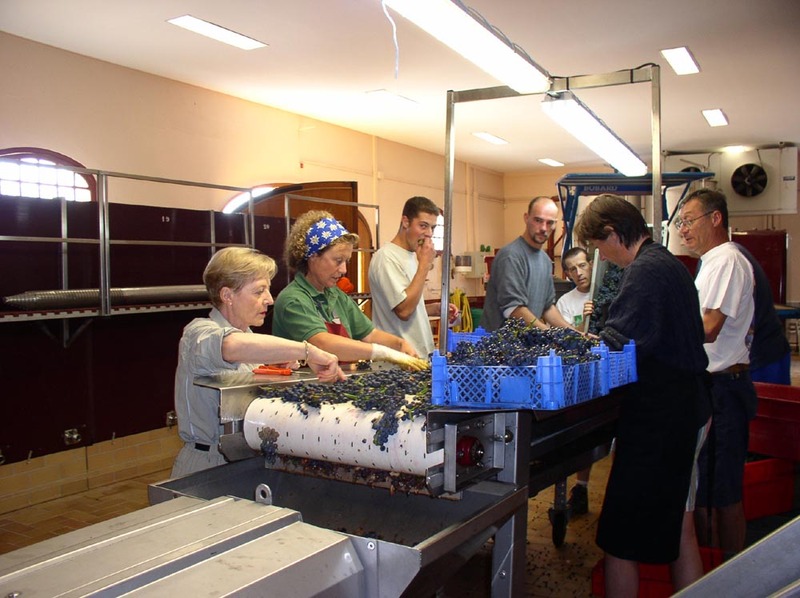 On August 27th, Denis Mortet and family were sorting out grape bunches to remove dry raisins. Most of those bunches were really textbook examples of small, compact millérandage. Denis Mortet and his son, Arnaud, were crushing grapes on September 16th. With a big smile and a sigh of relief, Denis declared that now he could affirmatively say that it is an outstanding vintage. Each appellation showing its true terroir even more than ever before. He is only sorry that the yields were so low. Christophe Perrot-Minot harvested between August 27th and September 2nd. He had purchased some 4-inch long x 1-inch wide pasta tongs from a kitchen supplier in order to remove the dry raisins……meticulous work! However, very few bunches were wasted and the quality was great. As of September 24th, Christophe is now ecstatic about his 2003 vintage! 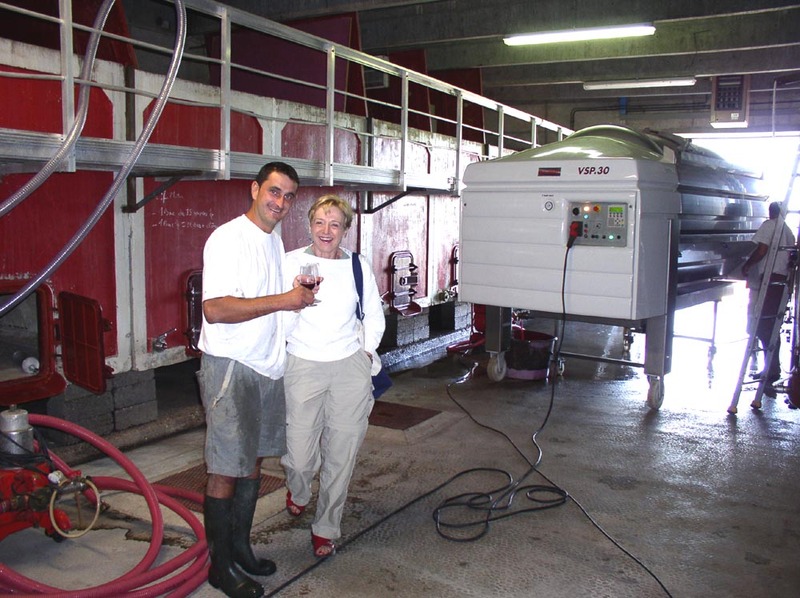 At Domaine Bertagna, winemaker Claire Forestier was happily surprised by the quality of the harvest. For example, the Hautes Côtes-de-Nuits, harvested last because of the cooler climate, has not suffered from the heat and is impeccable. 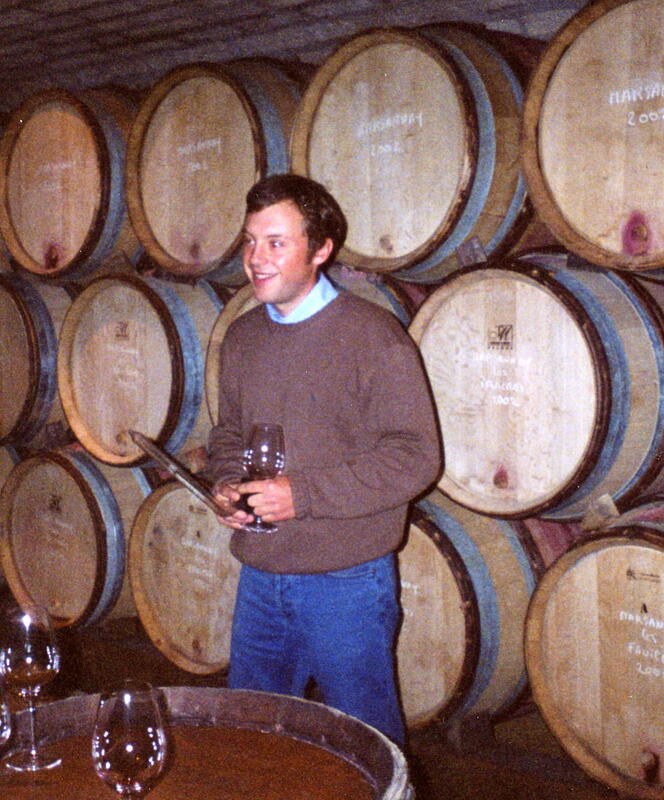 My last visit was at Domaine Charles Audoin, where the entire family was involved with the racking of the 2002s. The 2003s had already been crushed and were resting in large vats before their transfer to oak barrels for their second fermentation. We had a taste of each appellation and, whereas we were all very pleased with the quality of the vintage, we were not with the quantity! Fortunately no hail or rainstorm interfered during the last week of harvest. Now, what about Emmanuel Rouget and his uncle, Henri Jayer? To everyone’s surprise and concern, Henri started harvesting on September 4th. The previous weekend, a slight rain brought some moisture to the vineyards and the temperature dropped to the low 70ºF. Pits and stems were never so perfectly ripe. But, let’s face it, it was a bit of a gamble! On September 2nd, I drove with Henri to his Cros-Parantoux vineyard. With its high elevation, rocky soil and cooler climate, this vineyard, niched against Richebourg on the Varoilles side, is special. Henri wanted his vines to complete their full maturity cycle! Even the verjus showed 11.5º alcohol. The bunches were magnificent with their 14º natural alcohol and very few dry raisins. By the following Friday, Henri had harvested his normal 35 hectoliters per hectare. Continuing our tour, with his refractometer (a gage to check sugar content) in hand, we went first to his vineyard of Echezeaux “Les Treux,” right against the already harvested DRC Echezeaux. Some vines had hardly any grapes, some bore none at all, while others were showing perfect bunches that had been protected from the sun by leaves. 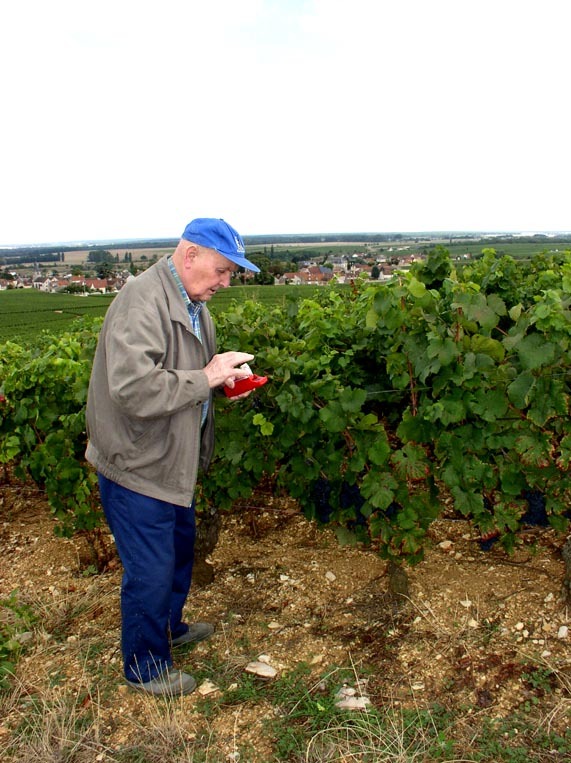 Henri explained that his vines were older, between 50 to 60 years old and, because of the low elevation, they had suffered more and produced less than his Echezeaux “Cruaux” vineyard, located higher on the hill and planted in 1924! The crop averaged 20 to 22 H. Harvested last, his Passetoutgrain was in perfect condition, with great acidity. His cement vats were kept cool, so the fermentation started slowly. In 1996, the hours of sunshine registered were 240 – normal hours of sunshine are between 160 to 190. In 2003, Henri registered 300 hours! His assessment of the vintage: “Extraordinary rich, fat, structured wines, deeply colored and gloriously aromatic with soft tannins – velvet in your mouth! Young wines this good will taste even better when older ” declared Henri. Depending on the micro-climates and time of harvest, we will have outstanding, over the top wines. So far, my Burgundian wineries were right on target! 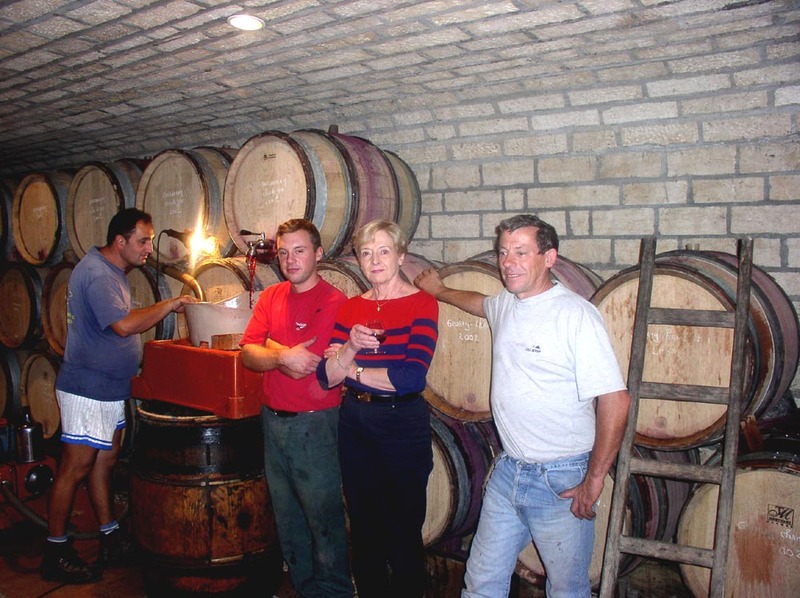 Burgundy 2002 Harvest….Alive & Great!